Almost two months after Texas Republican leaders announced they would kick Planned Parenthood out of Medicaid, the organization is still receiving funds to provide health care for about 13,500 low-income women a year. Almost two months after Texas Republican leaders announced they would kick Planned Parenthood out of Medicaid, it hasn't happened. But the state's hesitance to pull the trigger reflects a recent pattern in its dealings with an organization that is a lightning rod for any political debate that even remotely touches on abortion. Repeatedly, raising claims of fraud or wrongdoing, conservative Texas politicians have vowed to fine or punish the organization. The latest chapter began when abortion foes released undercover videos of Planned Parenthood officials purportedly showing that the organization improperly harvested aborted fetal tissue for researchers. The group has vehemently denied those claims. The agency's inspector general, the letter said, had “reliable information indicating a pattern of illegal billing practices” that would disqualify Planned Parenthood from participating in Medicaid. The commission’s chief fraud investigator, Stuart Bowen, gave Planned Parenthood 30 days to respond and request an “informal resolution meeting” with health commission attorneys. If it didn't, the state said it would issue a “final notice of termination” formally booting Planned Parenthood from Medicaid — an order that would go into effect 15 days after the organization received it. But when U.S. District Judge Sam Sparks considered the organization's request for a restraining order on Dec. 8, a curious fact emerged. Despite its claims that it had proof of misconduct, state health officials never delivered the final legal notice to defund the organization. "Planned Parenthood has not received official notice from the state for termination of our health centers' continued participation in Medicaid so our court case is delayed," said Sarah Wheat, a vice president for Planned Parenthood of Greater Texas. The state's efforts to nix the Medicaid dollars have been "political from the start," Wheat said. A spokesman for the health commission’s inspector general declined to comment on the canceled hearing and the delayed final notice, citing the pending litigation. “All matters related to the notices of termination are pending,” said spokesman Chris Cutrone. The apparent hesitation is the latest in a series of instances in which the state raised hefty allegations against Planned Parenthood misconduct that have ended with a whimper. 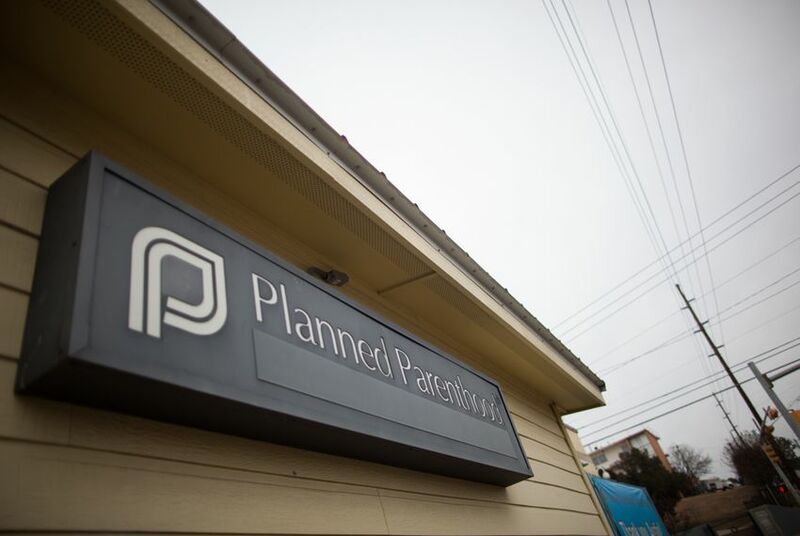 The state has alleged fraud at Planned Parenthood’s women's health clinics before. In his recent termination letter, Bowen cited $4.3 million that Planned Parenthood paid the state to settle allegations of billing fraud committed between 2003 and 2009. But since then, the state has pursued other claims of fraud against the organization and come up empty, a Texas Tribune analysis shows. The state health agency's inspector general has audited the women’s health clinics six times over the last five years. Those investigations, obtained by the Tribune through the Texas Public Information Act, show that Texas claimed Planned Parenthood had wrongly billed the state nearly $1.7 million. But the state never collected any of that money. The state alleged, among other things, that Planned Parenthood had served women who were ineligible for government-subsidized services and provided services that were unnecessary. Many of the allegations were based on extrapolations, in which investigators alleged isolated incidents of improper billing and then, using a statistical model, assumed there must be others — inflating the dollar amount as much as 31 times the original. For example, investigators claimed a Planned Parenthood clinic in Austin had wrongly billed the state for mistakes worth $842, such as recording a woman’s annual exam with the wrong billing code. Investigators then asked for an “extrapolated” refund of more than $25,200. In another case, investigators apparently claimed that the Planned Parenthood Association of Hidalgo County had given a patient more condoms than were "medically necessary." At that affiliate, in fiscal year 2011, investigators alleged a total of $6,932 in improper payments, which they extrapolated to more than $126,000. Planned Parenthood disputed most of the state’s findings in the audit reports. The Hidalgo County affiliate has since cut ties with Planned Parenthood. Planned Parenthood West Texas did not respond to the allegations; its clinics had closed months before the state completed its audit in March 2014. Cutrone, the spokesman for the Office of Inspector General, which investigates Medicaid fraud, said those cases were “pending.” But Planned Parenthood says it hasn’t heard from the state since appealing those findings, with some sitting idle for more than three years. "We’ve had those things on appeal now for three years or more, without anything happening on them. I haven’t heard a word since," said Mark Chouteau, the lawyer representing Planned Parenthood in the appeals. "The OIG came in here, obviously, in my mind, with a mandate," he added. But without any response from the state on the appeals, Chouteau said, "it may very well be that they didn't want to defend those audits." While those old audits languish on appeal, the state’s current investigation into Planned Parenthood seems to have hit road bumps of its own as observers have raised questions about the timeline of the investigation. State officials announced they would kick Planned Parenthood out of the Medicaid program on Oct. 19. Three days later, investigators visited Planned Parenthood facilities in San Antonio, Houston, Dallas and Brownsville to deliver extensive requests for Medicaid records, billing information and other materials that could seemingly back up their claims. The delay in the Planned Parenthood lawsuit in Texas comes more than a week after Alabama abandoned similar efforts to end the organization’s Medicaid contract there. Meanwhile, Louisiana's efforts were put on hold by federal judge with the state expected to appeal. Should Texas' final notice arrive, Planned Parenthood officials have vowed to fight back. “When the state issues an official notice to terminate our health centers from the Medicaid program, Planned Parenthood is ready to continue to stand up for our patients in court,” Wheat said.